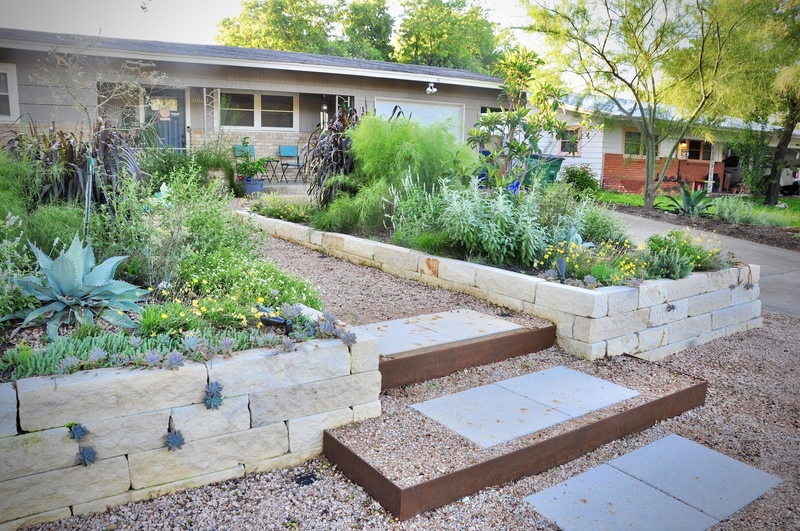 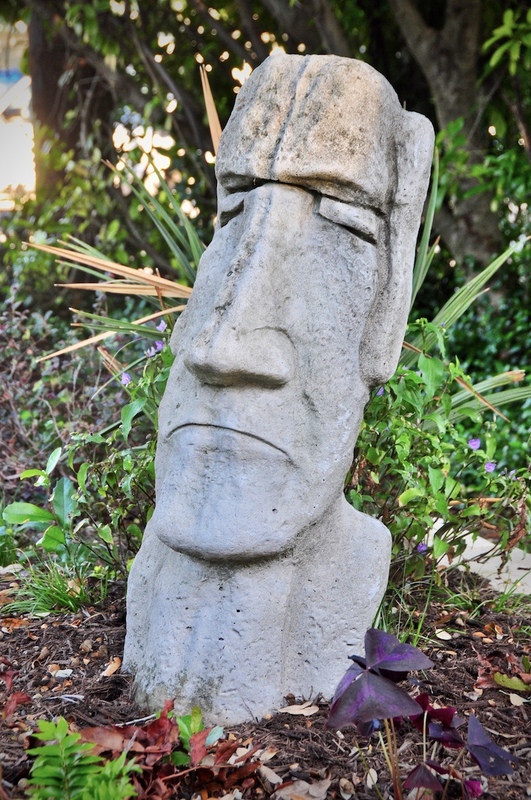 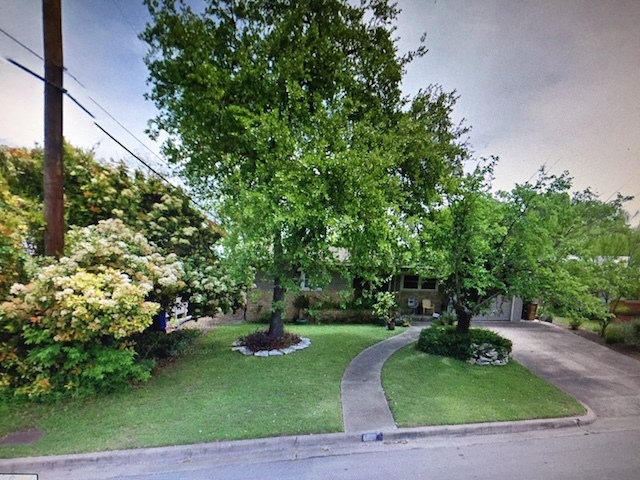 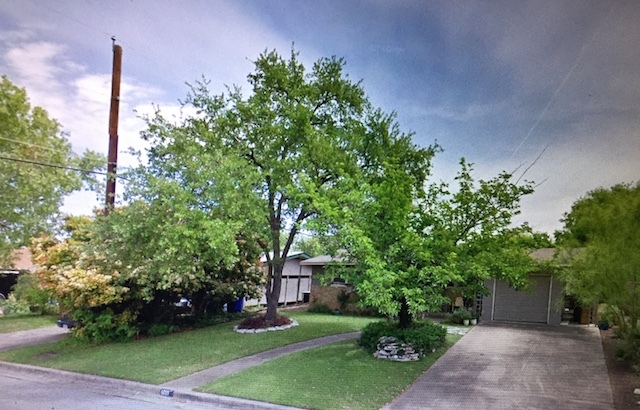 A front yard re-do… something clean and modern. 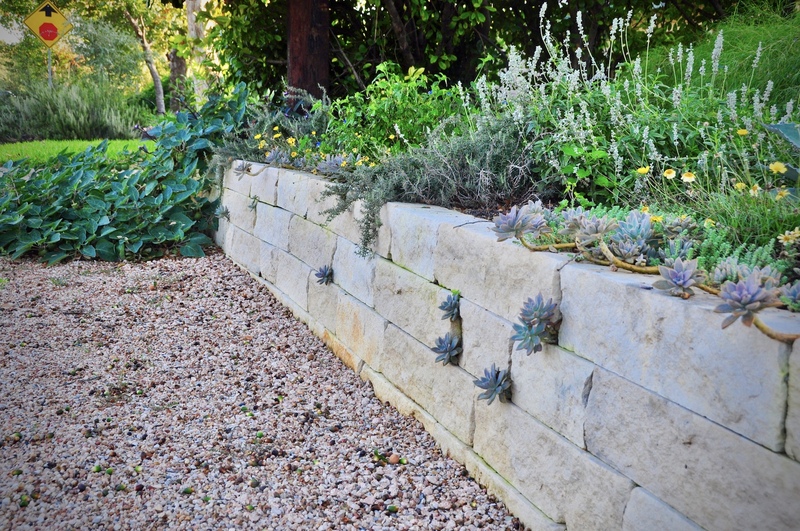 The cut-limestone walls were built, the steps and custom lighting installed, and native and adapted plants placed in layers around a custom-welded steel fountain. 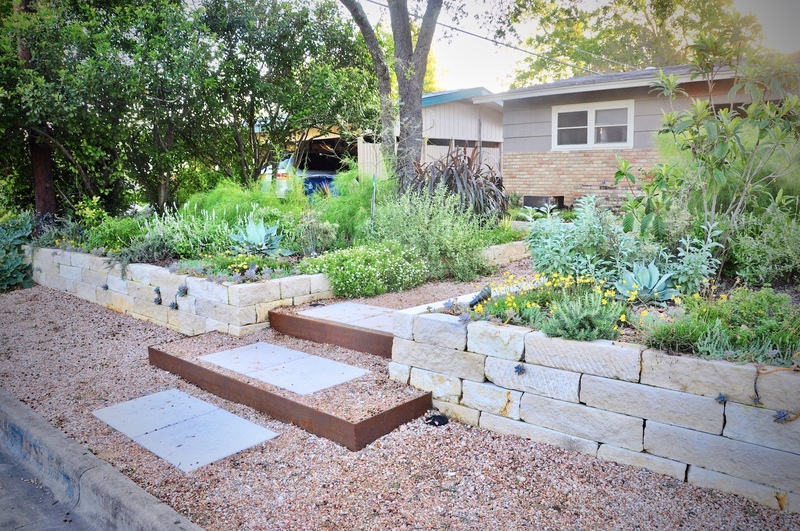 Custom-welded steps and drystack-limestone walls. 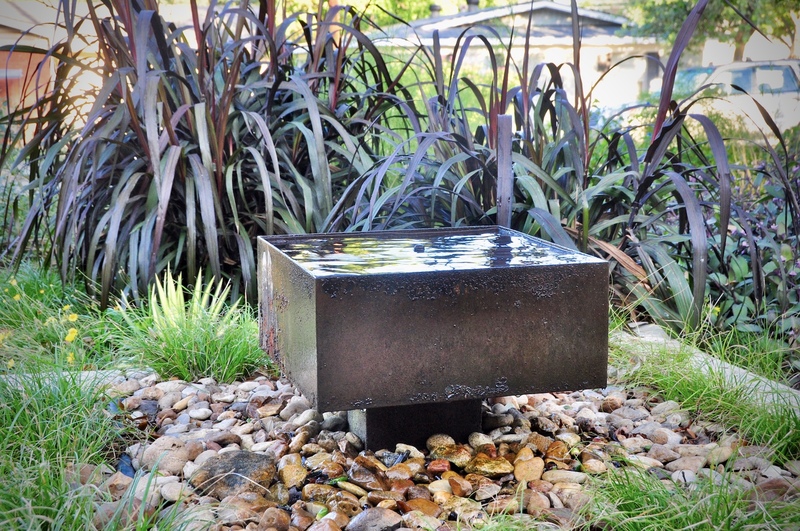 Custom-welded steel fountain over disappearing basin.